Raise your mitt to commit! 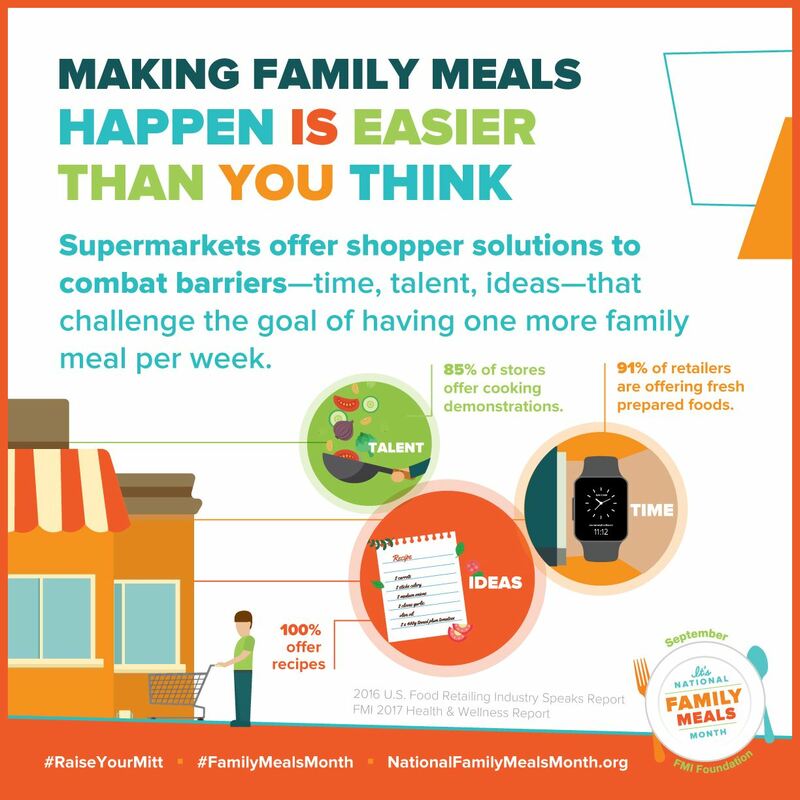 September is National Family Meals Month, and retailers have the perfect opportunity to encourage consumer to buy more! Promote family meals throughout your store to make sure your customers know the importance of eating with family. The Food Marketing Institute has some great resources and activation ideas for both manufacturers and retailers. Follow the links to find out more!